Just like the case was during the 2016 polls, former Minister for ICT, George William Nyombi Thembo has said government will again switch off internet in case they realize any imminent problem. During the February 2016 polls, government ordered all telecom companies to block access to Facebook, Whatsapp, twitter and other social media sites and the same was repeated in May during the swearing in ceremony for President Museveni. Speaking during a digital rights workshop organized by Article 19 and Unwanted Witness, both civil society organisations in Entebbe, Thembo, who is now the Director for the Rural Development Fund (RCDF) at the Uganda Communications Commission said government had all the reasons to block the internet in 2016 after being tipped off by security. 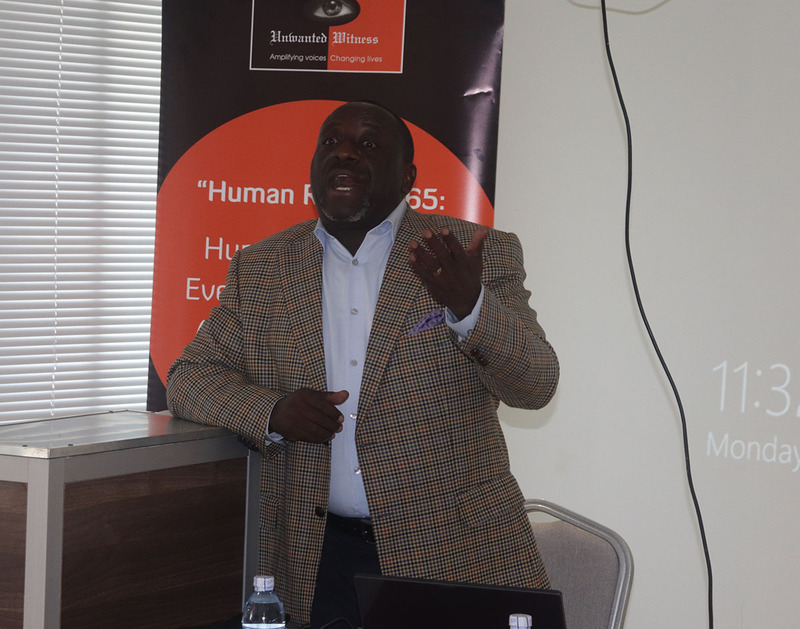 “Security warned us that some people were going to do something to the country and they convinced us that they would start announcing their own results on social media and by the time the electoral commission announces the right results, people are charged,”Nyombi Thembo said during the workshop. Asked why government targeted all people and not a few individuals that they had known were a threat to security, the former ICT minister said what they did was for the good of the entire population in the country. The former minister however defended the actions by government to block internet saying it is not done only in Uganda but around so many other countries do the same for security reasons. He explained that some people think internet is something to play around with, adding that many countries like the US and France among others have ever blocked internet. However, activists said it is wrong for African government to use internet blockade as a method to stifle citizens’ right to information as enshrined in the constitution. They argued that the trend shows that towards and during elections, governments tend to switch off internet to deny citizens a right to information which they said is wrong. “Governments in Africa will never admit access to information by their citizens is good. They will always try to block it. They will never allow internet to be free,” said Unwanted Witness’ Wokulira Ssebaggala.